After your baby is born, the first year will pass very fast. Before you even know it, you will be planning for his/her birthday. If you would want to throw a birthday party for the soon-to-be toddler, you have to plan and budget for it. The costs of a birthday party can add up very fast depending on the number of people you are planning to invite. However, you should not use much of your money to decorate the birthday function rooms in Melbourne. Handmade supplies for the first birthday party can be unique and adorable. After deciding on the theme of your birthday party, you should plan for the decorations, buy and then start the crafting process. Here are a few kid’s first birthday-room decoration tips. Gather several photos from the first year of your kid’s life and use them to make a photo collage. Base the collage around the primary theme of the party and hang it in that room you plan to conduct the birthday party. A birthday banner will make a huge impact. You can use some materials like scrapbooking paper, card stock, pre-cut pennant card stocks or poster board to make some. After creating the letters, start stringing them together by punching holes on the letters with single-hole punches. Use 1-inch wide ribbons to string the letters together. If you already have a sewing machine in your home, you can sew pennant birthday banners. When making fabric banners, repurpose them for the room decoration after your birthday party ends. When decorating the room, use large decoration pieces to create a bigger statement as the guests walk through the main door. To achieve that, base your paper lanterns decoration around the primary theme and hang them from the ceiling. Paper lanterns are among the inexpensive items you can buy for your kid’s birthday. If you already own an entryway table, you can place several framed pictures of your kid on the table in addition to several decorations related to the primary theme. Pull in several colors from the birthday party and use various frames in them. If you do not have an entryway table, do the same on your gift table. Instead of using paper or plastic boxes that you will throw away after using, go for tin, felt or plastic baskets that you can reuse. 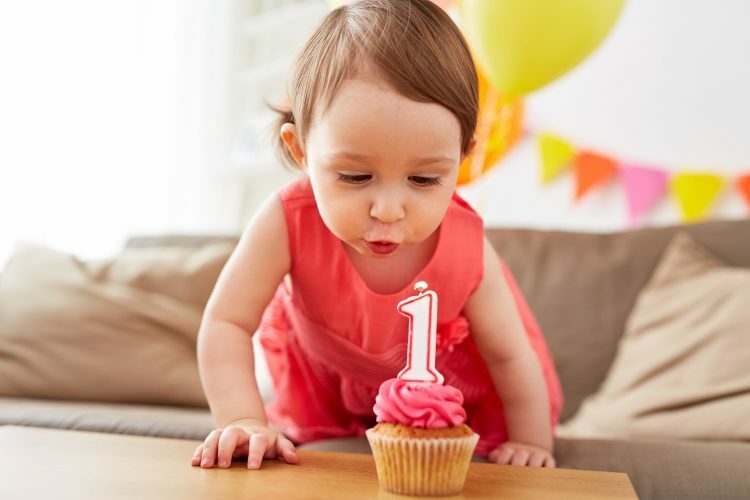 Most stores in your area offer small containers that you can easily use for your baby’s first birthday. Use stickers or felt to decorate the container to personalize your birthday theme. When planning for a budget-friendly birthday party, you should be more creative and resourceful for every part of the birthday party. Homemade snacks and some simple foods like greasy spare parts from Velveeta and pretzels will add taste to your birthday party. You can try new ideas like creating robot stations with Twizzlers and marshmallows with some toothpicks arranged to form robot shapes. That will add more fun to your kid’s birthday party.